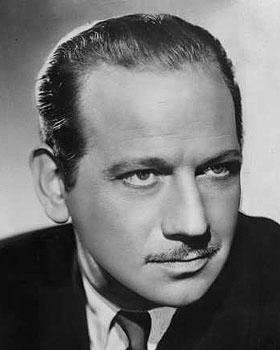 Place of Birth: Macon, Georgia, U.S.
Melvyn Douglas was an American actor. He twice won the Academy Award for Best Supporting Actor, for Hud (1963) and Being There (1979). Melvyn was the son of Lena Priscilla (Shackelford) and Edouard Gregory Hesselberg, who was a concert pianist and composer. He was married to actress and politician Helen Gahagan Douglas, until her death. He had a son with his former wife, artist Rosalind Hightower, and two children with Helen. His granddaughter is actress Illeana Douglas. His father was a Latvian Jewish emigrant, from Riga. His mother had English and Scottish ancestry. Melvyn’s paternal grandparents were Heinrich Hesselberg and Sarah Davidov/Davidoff. Melvyn’s maternal grandfather was Col. George Taliaferro Shackelford (the son of James Madison Shackelford and Priscilla L. Culbertson). George was born in Illinois, and was a Union Army officer. James was the son of George Lyne Shackelford and Martha Hockaday. Priscilla was the daughter of John Culbertson and Mary Maybury/Marbury. Melvyn’s maternal grandmother was Emma Jane Douglas (the daughter of Erskine Douglas and Sophia Garrett). Emma was born in Missouri. Erskine was the son of Richard Douglas and Lucy Way Palmes. Sophia was the daughter of Thomas Johnson/Jefferson/I. Garrett and Nancy Ann Thompson.